With our two week long ‘Exclusive South India Tours’, we give you an insight into the best of destinations and attractions located in different parts of South India. The journey, beginning from Chennai, will cover Bangalore, Mysore, Ooty, Cochin, Periyar, Kumarakom, Alleppey, Kovalam and Trivandrum. Sail through the scenic backwaters of Kerala, relax on the Kovalam beach, witness the natural treasures of Ooty and medieval and colonial attractions of Bangalore and Chennai with the Exclusive South India Tours package. Upon arrival in Chennai, meet our tour representative who’ll assist you in smooth transfer to the hotel. Stay overnight in the hotel. Today, set out of your hotel to explore the attractions in Chennai which include Museums, Marina Beach, Fort St. George, and Santhome Cathedral Basilica. Stay overnight in the hotel. In the morning, you will be transferred to the railway station to board the train from Bangalore. Upon arrival in Bangalore, meet the IHPL representative and get transferred to the hotel. In the afternoon, go on a sightseeing tour of Bangalore which include Bull temple, Tippu's Palace, Lalbaug, Ulsoor Lake, and the Venkatappa Art Gallery. Stay overnight in the hotel. In the morning, leave by road for Mysore. On the way, visit Srirangapatnam. Upon arrival, check into the hotel to relax. In the evening, visit the Brindavan Gardens. Stay overnight in the hotel. 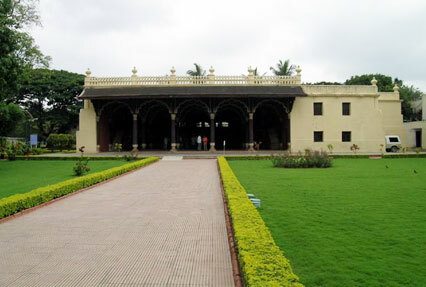 In the morning, embark on a sightseeing tour of Mysore covering Golden Royal Elephant, Mysore Palace and Durbar Hall. 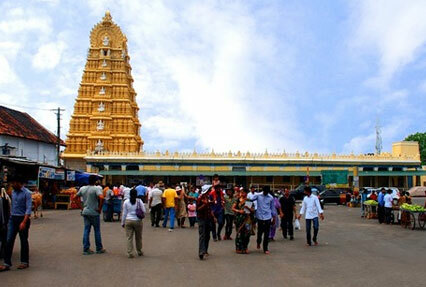 Thereafter, visit the Chamundeshwari temple, located atop of the hill. Later, leave by road for Ooty. Upon arrival, check into the hotel for night stay. In the morning, set off to explore the Botanical Gardens and the rest of the day is free for individual activities. Stay overnight in the hotel. In the morning, drive towards Cochin. Upon arrival, check into the hotel to rest. Later, embark on a sightseeing tour covering Jewish Synagogue, St. Francis Church, Dutch Palace and Chinese Fishing Nets etc. Stay overnight in the hotel. In the morning, leave by road for Periyar. Upon arrival, check into the hotel. In the afternoon, witness the scenic beauty of Periyar. Stay overnight in Periyar. 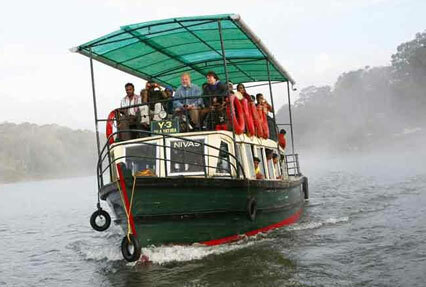 In the morning, enjoy the park tour and boat ride on Periyar Lake. In the afternoon, leave by road for Kumarakom. On reaching Kumarakom, check into the hotel for night stay. In the morning, take rest and relax in the hotel. 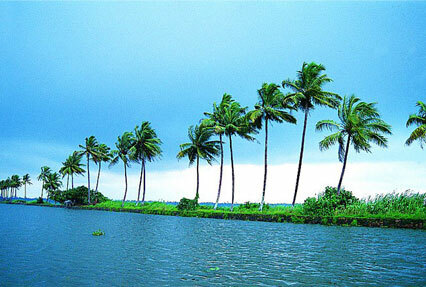 In the afternoon, enjoy cruising through the palm-fringed backwaters of Kumarakom.. Stay overnight in the hotel. In the morning, board the houseboat for overnight stay. Enjoy the houseboat cruise through the canal, rivulets and coconut groves. Stay overnight on board the houseboat. In the morning, check out of the houseboat and leave by road for Kovalam. Upon arrival, check in at the hotel for night stay. 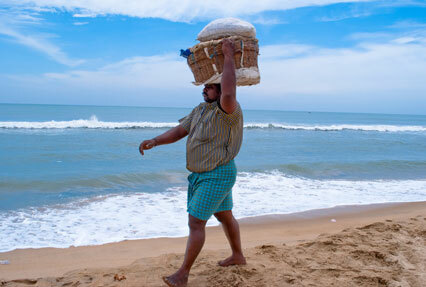 The day 13 is booked with a full day's relaxation and rejuvenation on the Kovalam beach. You can walk on the golden sands, watch the interplay of sand and surf, indulge in adventurous water sports and get pampered through Ayurvedic massages. Stay overnight on the Kovalam beach. Late in the morning, you will be transferred to the Trivandrum airport to connect flight for Mumbai. Upon arrival, meet our representative who’ll assist you in smooth transfer to the hotel. Stay overnight in the hotel. In the morning, drive to the international airport to board flight for onward destination.